7 Wonders: Magical Mystery Tour is a "match 3" tile matching game most similar to 7 Wonders II. The seven wonders built during this game are legendary locations like Atlantis, Camelot, Valhalla and Shangri-La. The main objective is to break the background on every tile on the grid by moving adjacent tiles to form groups of three or more, horizontally or vertically. When all of the backgrounds have been broken, a "cornerstone" tile will appear at the top of a column. When that tile falls off of the bottom of the board the stage is finished. 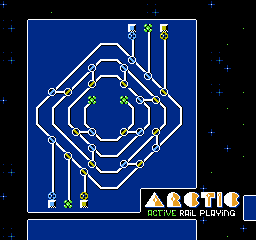 Clearing four tiles creates a Line bonus (called an iceball in previous games) for completely clearing an entire horizontal row. 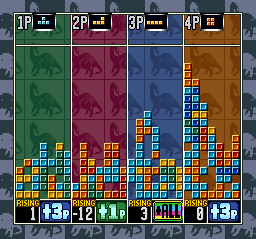 A Cross bonus for wiping out one complete row and column together appears when five tiles have been matched. Several bonuses activated together will result in a Dice bonus which will destroy fifteen random tiles. In addition an hourglass pops up randomly and will add time to the glass if a match is made of the specified color in one minute. 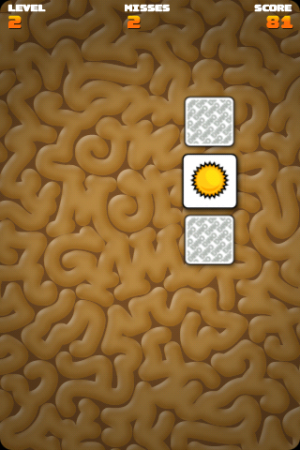 Also inside the puzzle board are two stationary tiles with colored backgrounds. Create a match of the proper color on top of those stationary tiles to collect the five keys which unlock mini games, one for each wonder. The mini games become more difficult as the game progresses:Chiseler's Statue Room (for adding statuary to the wonders): Click groups of like tiles to break stone blocks and release the statue.The Caratus Gold Mine (for decorating the wonders with gold): Move blocks so that they line up together and explode.Resources like building blocks, greenery, water and jewels are needed for constructing the wonders. These appear as specially marked tiles (bricks, leaves, water droplets or gems). As they are matched and cleared, they fall to the ground where the cheerful workers gather them up. 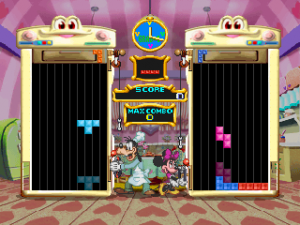 Constructing the wonder happens on a separate screen shown after each stage is completed. The resources can be placed manually or automatically. 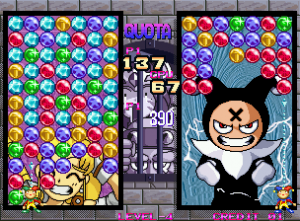 Powerups are found while building the wonder and are then available in the tile-matching stages, selectable from a wheel. Charge the powerups one at a time by performing matches. The "reshuffle" button at the top of the board must also be charged. 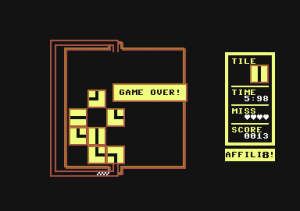 This game introduces a new Zen mode, which is relaxed and not timed but has none of the mini-games. The Normal, Advanced and Insane modes have a timer.